Making quality medicine with more efficiency is becoming essential for pharmaceutical companies operating in the modern era. Consumers throughout the world are demanding cheaper treatment that still features the same characteristics associated with the industry's signature drugs. 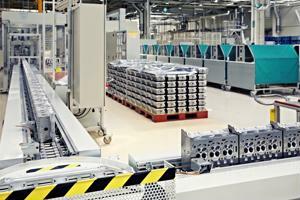 As a result, manufacturers are implementing automated machinery to optimize factory processes. Yet, there's a plethora devices to choose from. Technology companies offer a wide variety of materials for the pharmaceutical industry to make use of, pressuring many to consult spend analysis experts to figure out whether or not a return on investment will be achieved by purchasing particular products. According to Manufacturing.net, a report recently published by The Association for Packaging and Processing Technologies discovered that usage of robotics in several economic sectors has tripled over the past five years. The study estimated that automated technology will account for 27 percent of new line installations for medical device packaging - a 24 percent increase from 2013. The pharmaceutical industry is anticipated to use robots for 34 percent of all packaging processes, as many such companies are looking for cost-savings, product safety and production speed. Marketing analysis on which automated technologies are the best solutions for a pharmaceutical company must be employed. Not every enterprise is the same, so different machines will have to be procured to streamline disparate procedures. Manufacturing.net noted that thorough reviews of all product offerings need to be conducted, detailing some of the basic features of the modern factory robot. The basic automated system consists of a sensor, a decision-making algorithm and an actuator that possess at least four axes of motion to provide flexibility for operations in packaging environments. The machine's end effecter (the part that comes into contact with the products) must be assessed to figure out whether it will be able to handle products efficiently. PharmTech Magazine acknowledged the release of Uhlmann Packaging Systems' UPS4 MT blister machine, which operates at speeds of up to 600 blisters per minute. A blister pack is a term that refers to several kinds of plastic wrapping used for small consumer goods such as small pills or vitamins. Contract firm Reed-Lane is using the machine to process Mucinex Allergy Tablets for Reckitt Benkiser. Choosing the appropriate machine can be difficult. Informing a procurement services provider of what's needed to streamline pharmaceutical packaging can make choosing machinery all the more easier.